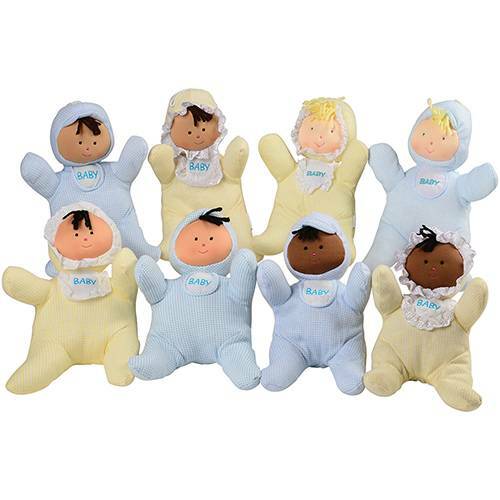 With sweet, happy faces and huggably soft bodies, these ethnically diverse, boy and girl doll set will be the favorite of infants and toddlers. Amply plumped with soft polyester stuffing. Covered in poly/cotton fabric.